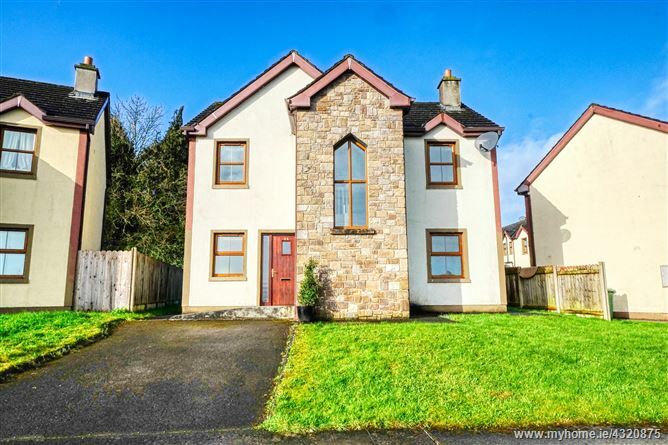 3 Bed Detached c. 110 m² / c. 1,185 Sq.Ft. Just off the Battery Road. This house is presented in excellent condition. Inside the house features a large open plan living area. The kitchen has substantial built in units and an island unit that opens into the Dining / living room. There is an open fireplace and to the rear double glass doors to the patio area are complimented by additional glazing either side to maximise light from the west facing rear garden. 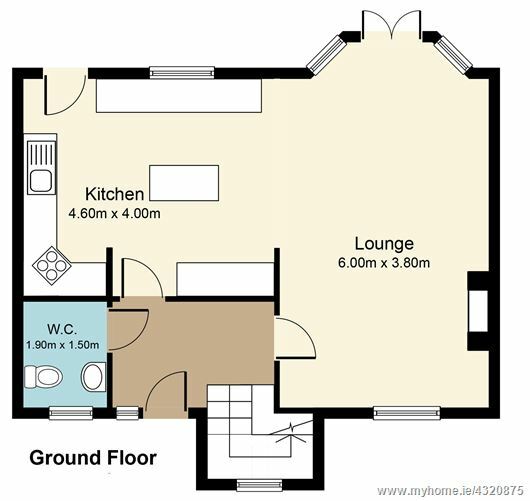 Upstairs there is a spacious main bedroom that has a walk in wardrobe and an ensuite shower room. 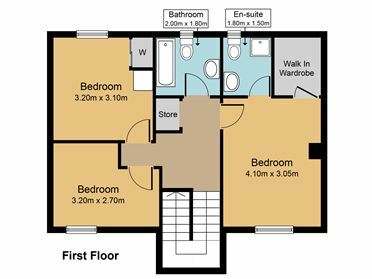 There is a second double bedroom with built in wardrobe and a smaller single bedroom. 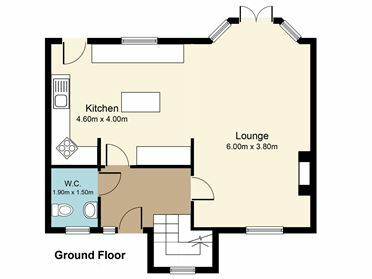 Being located just off the Battery Road, the town centre is a short walk, as are local amenities such as the tennis club & rugby club and the County GAA grounds. There is a local convenience store and the Axis retail park is also very convenient. The main N4 Dublin-Sligo Road is within a minutes’ drive. The development has proven to be one of the most popular residential locations in the town, with a lot of owner occupiers and a very active residents association. This house was extensively wired for a smart home with Cat 5 and speakers wiring throughout all brought together in a home hub box. The house is being sold with an inventory of contents & appliances and is an ideal first home or investment property.